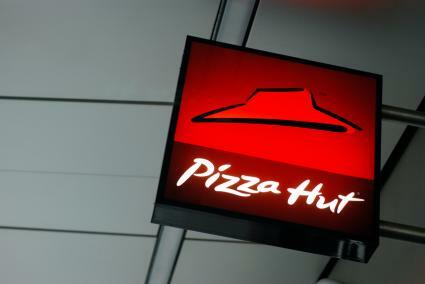 When you're looking for a fast and affordable way to feed your family on the fly, Pizza Hut may be a viable option. Although they offer a ton of deals to choose from, there are also several coupons available to help you save even more money. Enroll in the Hut Lovers Club to receive free cheese sticks on your next order along with exclusive deals for your local Pizza Hut. Pizza Hut sends offers directly to your email and smartphone via text (if you select this option). To sign up, visit the Hut Lover's page and enter your name, email address, birthday, and zip code. Pizza Hut offers an app for the iPhone, iPad, Android, Windows Phone, and Xbox 360. It's free to download and contains a variety of money-saving offers to choose from. To download the app on your smartphone device, click here. If you follow Pizza Hut on Facebook or Twitter, be on the lookout for promo codes or valuable printable coupons to help you save on your next purchase. Coupon Box: Visit this site for printable coupons and promo codes. Coupon Cabin: This site allows you to earn 10 percent cash back on Pizza Hut purchases. Coupons.com: Promotional codes valid for the entire month are available on this site and can be downloaded to your smartphone. Deal Catcher: This site contains printable Pizza Hut coupons and promo codes. Groupon: This popular online deal website offers dine and take out offers to help you save money at Pizza Hut. Slickdeals: Promo codes and coupons for Pizza Hut are updated on a monthly basis on this website. To save time on your search for Pizza Hut discount coupons, subscribe to these online deal websites to receive the instant alerts when new deals become available. Here are some additional ways to save money at Pizza Hut. If you have school-aged children from Kindergarten to 6th grade, they may receive a certificate for a Personal Pan Pizza each month between October and March if their reading goal is met (and their school participates in the program). While you'll need to buy additional pizza to feed other family members, you definitely don't want to let this valuable coupon go to waste. These are also an excellent way to feed the entire family without breaking the bank if you don't have any coupons on hand. For example, you can choose boxes that contain a combination of pizza, wings, pasta, breadsticks, and a desert. When you order online, be sure to check out the deals tab on the website to learn about any new promotions that may not be advertised elsewhere. Common deals include two-for-one specials, flat percentage discounts on your entire order, and free menu items with the purchase of a large pizza. Pizza Hut coupons appear almost weekly in the Sunday and mid-week circular of your local newspaper. Also, check your pizza box as coupons are sometimes affixed with tape. Don't toss that receipt until you check the top and bottom portion to see if any lucrative discounts or promotions are available in exchange for completing a short survey. Using a combination of online and print resources mentioned above, you should be able to save a decent sum of cash the next time you choose Pizza Hut for lunch or dinner. Finally, don't forget to ask about special promotions at the checkout counter before you finalize your purchase.